Square magnet wire is useful where space constraints are concerned. When formed into a coil an equivalent amount of square wire put in a coil can be placed in a tighter coil configuration than the same amount of round wire. This enables engineers to create compact coils and small motors that deliver more power in less space. Square wire is useful where space constraints are concerned. 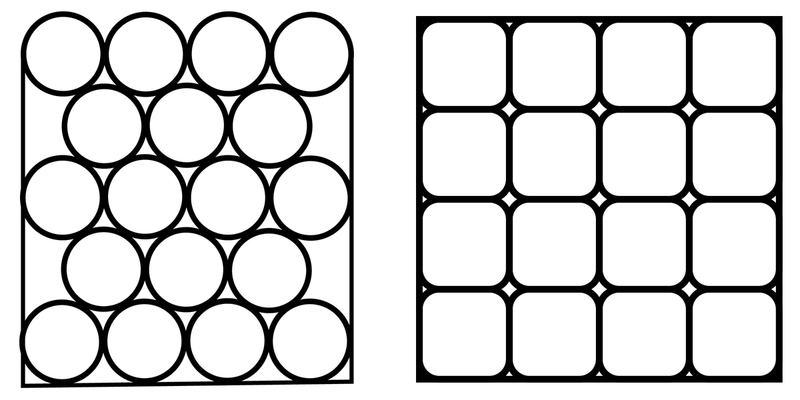 When formed into a coil an equivalent amount of square wire put in a coil can be placed in a tighter coil configuration than the same amount of round wire. This enables engineers to create compact coils and small motors that deliver more power in less space.